I love mixing textures and colors to come up with my own unique look… Also, mixing high-priced items with more affordable items can make any outfit stand out. 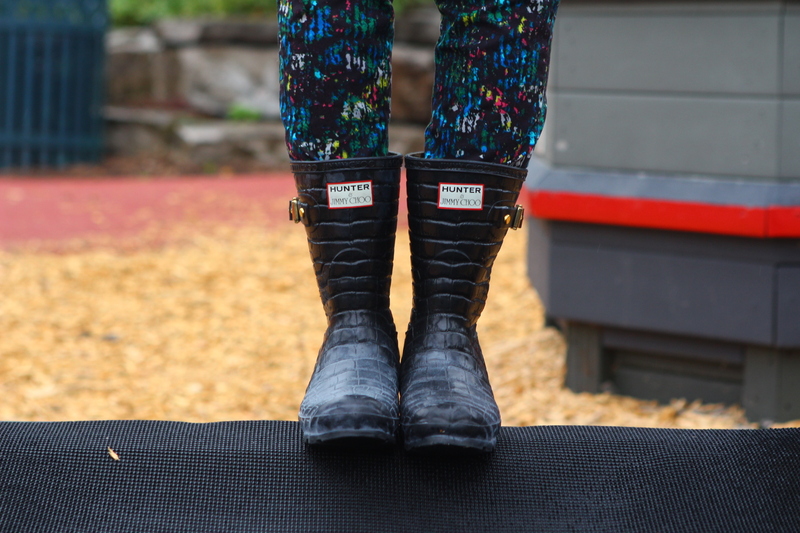 Being able to be comfortable and still look chic isn’t unattainable, you just have to know what works for you… In this case I wanted to dress around my favorite rain boots! 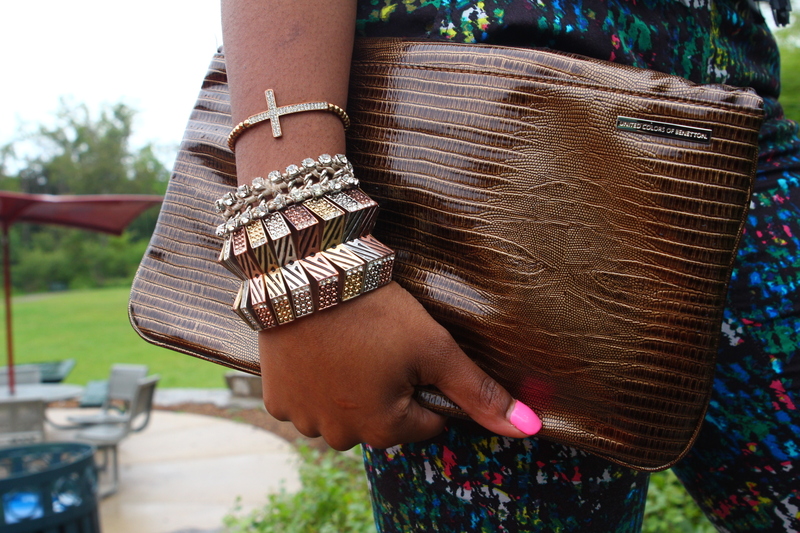 Never be afraid to mix leather with other exotic animal skin items or prints… It can really give your look more flare… But try not to over do it!! Little subtle touches go a long way! 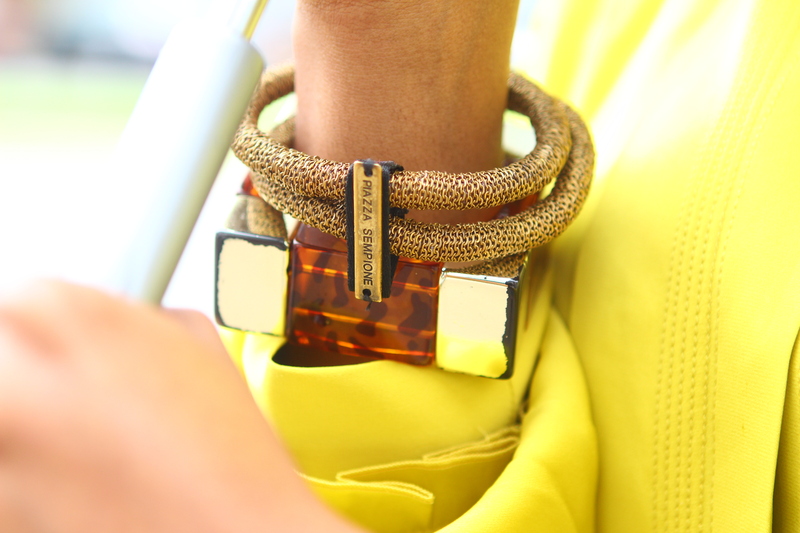 Never be afraid of a great ARM PARTY!! The more guest the better the party!! Stack your favorite bangles and bracelets to give your look the extra edge it needs… And don’t be afraid of a fun earring… I usually like my earrings to have a life of their own… Conversation pieces if you will… Who says your ears don’t need love?? Have fun, and dress to PLAY!!! 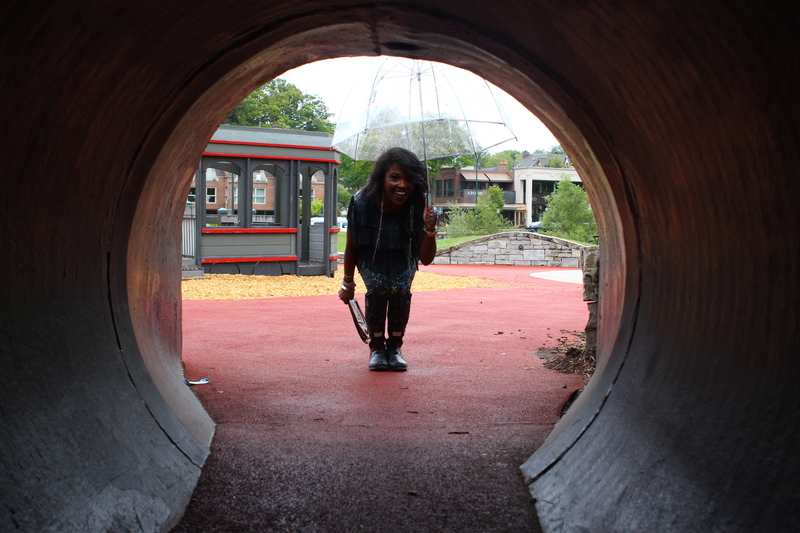 Swinging & Jumping… Having a straight up kid moment!!! Gotta love those! I loved this scent the moment I smelled it.. 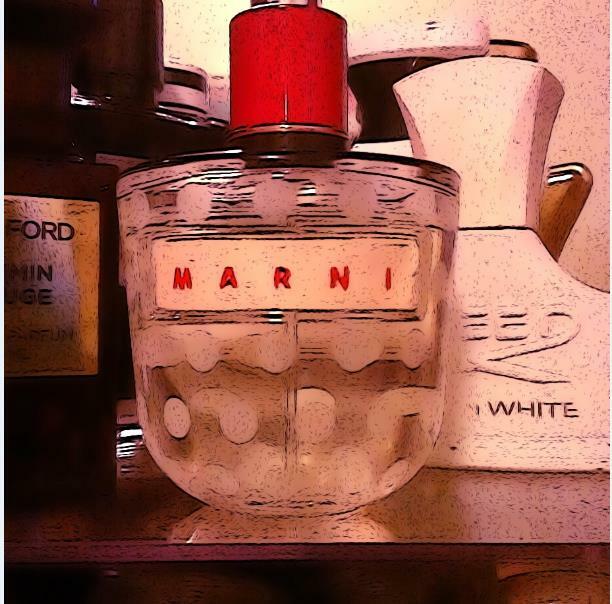 This one was no exception…Just like designer Consuelo Castiglioni uses subtle edited proportions of colors, prints, and material with the designs for the Marni line, the same element of creativity was used for this beautiful fragrance. It plays with classic elements in unexpected ways. It combines ethereal spices, eclectic raw woods, and a touch of rose to create a statement that is both girly and uniquely memorable just like the clothing line. Plus I’m a sucker for floral scents! 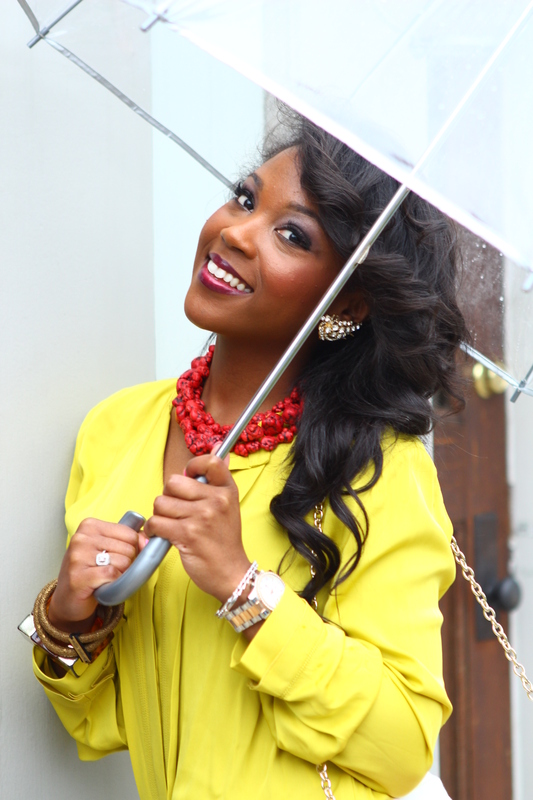 Never let a little rain stop your fancy… I fell in LOVE with this yellow/green blouse the second I laid eyes on it. Most people would think they could only wear a blouse like this to work, but the thing I love most about this piece is it’s transitional. 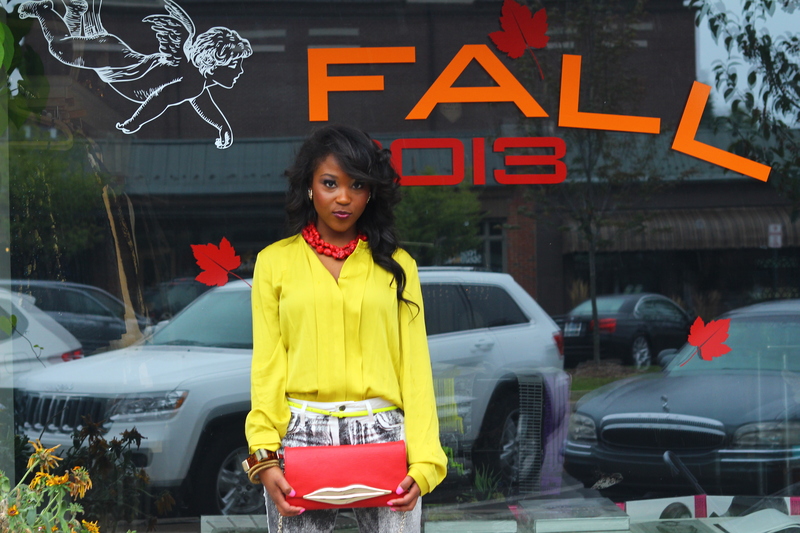 It can be casual chic, work place appropriate, and even fun & edgy. And the fact that it’s silk didn’t stop me from wearing it on a rainy day! 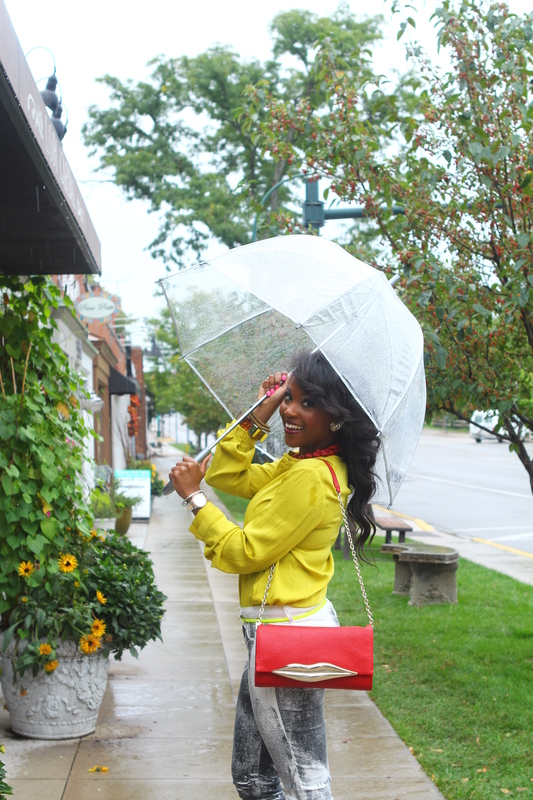 Grab a cute umbrella and enjoy the day… Each day is what you make it… Even in the rain, you CAN be your most fabulous! Giving myself two snaps up in Z-formation!!! LOL…. 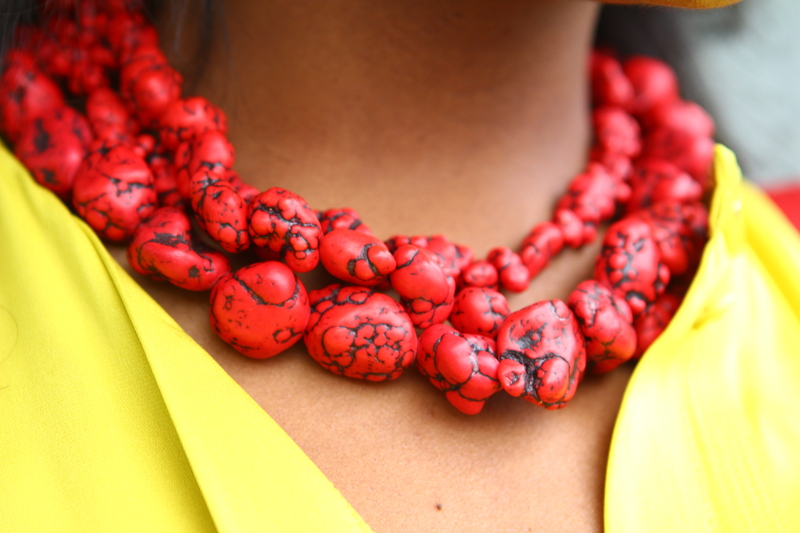 As long as I can remember, people have always stopped me and asked questions like, “Oh my gosh, where did you get your outfit from?” or “Where do you shop?” or “How did you get your hair to curl like that?” Even, “You’re the queen of accessorizing, where do you get your inspiration?” Or my favorite…. “Can you shop for me?” I get text messages from all of my girlfriends on a regular basis with tons of pictures of their outfit choices and them asking me the famous question.. “Does this look cute?” I decided it’s high time to not only help those around me be their most fabulous self, but to also help ladies I may not have the immediate access to reach on a daily basis, as well!! I’m so glad you’ve decided to join me on this journey, and I can’t wait to show you some fabulous things that inspire me along the way!!! 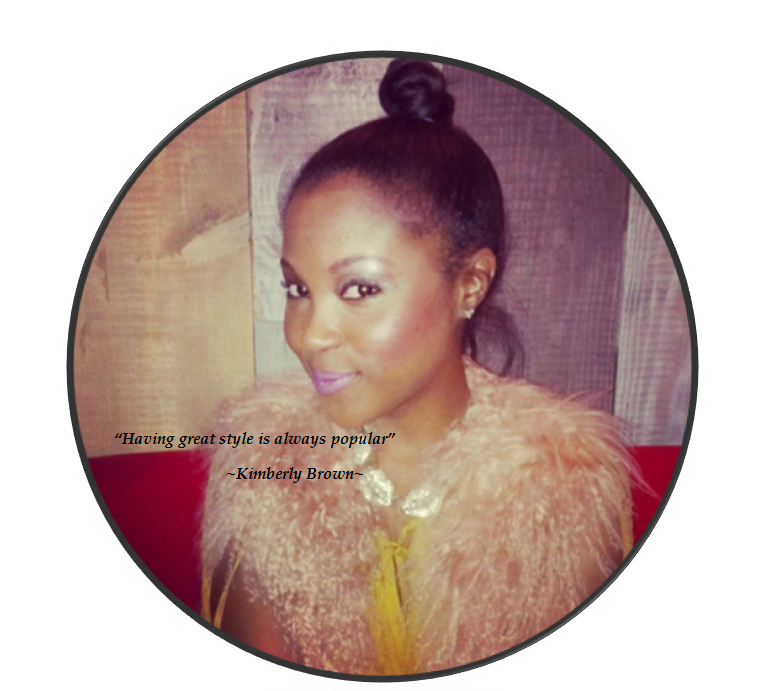 Posh and Popular: Having great style is ALWAYS POPULAR! Make sure you scroll down and check out all the tabs to the site! I’m going to be covering everything from personal style, beauty tips, & fashion advice, to introducing you to some fabulous people and places along the way!